It’s fairly well known now that Diageo have released a new whisky – Haig Club. Not only is it a new whisky, but something a little different to most: a Single Grain Scotch whisky aimed squarely at people who aren’t traditional whisky drinkers or who don’t think they like whisky. However, while most of the write-ups that Haig Club has received online have focused around the packaging and the stars (Messrs Beckham and Fuller) sitting behind it, rather than the liquid in the bottle. That’s quite understandable, as the people who Diageo are focusing on to buy it don’t really care so much about the geeky details. However, I do care about those details, and fortunately Diageo understand that there are geeky folk out there who want to know how the whisky is made. Earlier this year, I attended a briefing about the at-the-time-unnamed Haig Club, and heard a lot about how the whisky is produced. To fill in the gaps for my geeky brethren, here’s what I learned. 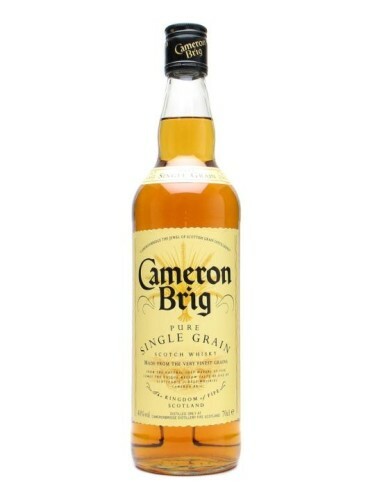 Firstly, the whisky comes from Cameronbridge. It’s a distillery that’s been in the hands of Diageo and its forebears for a very long time, being established by John Haig back in 1824. It started producing grain whisky in 1826, using a continuous ‘patent’ still as designed by Robert Stein, the first Scottish distillery to do so. Unfortunately Stein’s design never really became popular, in part due to the possibility of catastrophic explosion when the horsehair-and-wood still was running, and a few years later a modified version created by Aeneas Coffey appeared. This was more reliable, and quickly became the standard style of continuous still used in Scotch grain production. Cameronbridge have been in production since then, with Haig a founder member of the Distillers Company Ltd in 1877, which in turn became United Distillers and then part of Diageo, when it was formed in 1997. Grain distilleries are not the romantic, picture-postcard sites you often find in Scotland. They are very much industrial plants, and while some, myself included, may find such things beautiful, they are often not considered to be anything but factories. This is slightly unfair, as they produce a lot of whisky, and consistency of quality is of paramount importance. 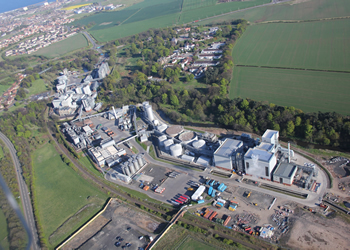 Cameronbridge itself has grown considerably over the past few years and now produces 120 million litres of alcohol per year, making it (as of March, at least) the largest distillery in Europe. According to the figures in the Malt Whisky Yearbook from last year, that’s almost 10 times as much as at either top malt whisky producer Glenfiddich (13 million) or Diageo’s own Roseisle (12.5 million), and is more than the combined capacity of all of Diageo’s malt whisky distilleries (105.2 million). It’s a lot of alcohol: 40,000 litres per hour – they can produce as much in four hours as Kilchoman does in a year. The continuous still allows the distillery to produce such a colossal amount of spirit – they’re quite a different beast to the pot-stills of single malt distilleries. Rather than running in small batches, they can run continuously as the name suggests for weeks at a time – if you want to dig into how they work in more detail, head on over to our post all about them from last year. 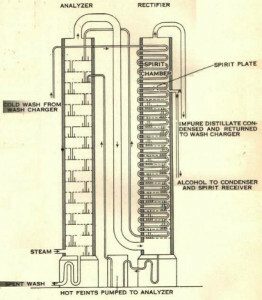 The production stage before distillation is also a little different to that found in malt distilleries. Firstly, there’s the grains used: Cameronbridge currently uses a mix of 90% wheat and 10% malted barley. As wheat needs a bit more of a hand in releasing the starches that will later be converted to alcohol, it is cooked before being fermented. They do this in 17-tonne batches in a pressure cooker. It’s then piped to the mash tun, where it is mixed with the milled malt. They do a particularly short mash compared to malt distilleries, lasting only 30 minutes, with a continuous spray of water onto the grain rather than distinct ‘waters’. As the wheat has already been cooked and the malt is predominantly there for its fermentation-helping enzymes rather than its starch, the short mash quickly extracts most of the available sugars. When the mash is finished, the entire contents of the tun are pumped to a fermenter, complete with the remains of the grain. Each fermenter holds 300,000 litres and can accomodate about five mashes. Yeast is added when first mash is pumped in, with four more mashes joining it over the next ten hours. It is then left to ferment for 48 hours, which is quite deliberately the time needed to produce a maximum amount of alcohol without too much extra flavour – grain spirit is calculatedly not meant to have much of its own, generally relying on wood and maturation to produce flavour. Nose: Sharp apples and lemons with some darker fruit. Palate: Sweet and sugary with lots of apple and pear. Finish: A little bit of sweetness, but quite short. Nose: Heavy and oily with meaty notes, rubbery touches and coal – ‘like a workshop’. Palate: Sweet and oily, with a bit of tyre rubber and some apple-pie fruitiness. Finish: Not a lot – oiliness and some lingering rubber. After distillation, the spirit is diluted to 68.5%, a compromise between the accountants, who want to get as many casks from a distillation run as possible, and the blending team, who want the correct flavour development over time – while 63.5% is the standard for malt spirit, the extra 5% works with the grain spirit without too much impact. They mainly fill into American oak casks, both hogsheads and the smaller American standard barrels, and generally as a first fill, with some refill and rejuvenated casks also filled. The use of first-fill casks allows the spirit to extract compounds from the wood quickly, meaning that they both have grain whisky with sufficient flavour for use in their various blends, and also have casks that have been ‘seasoned’ and can then be used to mature single malt without swamping the spirit with woody notes. Other than the soon-to-appear Haig Club, there is one other whisky currently available from Cameronbridge: the almost eponymous Cameron Brig. It’s a cheap and cheerful whisky that until more recently was about the only single grain available on the market. It’s a good place to start with grain whisky, being a solid example that won’t break the bank. Nose: Golden syrup, custard tarts and a touch of bitter wood. Palate: Toffee, sweetcorn, butterscotch, sweet orange and marmalade, and some darker flavours underneath – raisin and oaky spice. Water brings out some apples and pears, along with sweet orange cream. Finish: Short and sweet with custard tarts balanced by bitter oak. The Haig Club will be with us soon, but until then, Cameron Brig is a nice way to get acquainted with the distillery’s spirit. Watch this space – we’ll have a post about the Haig Club as soon as it’s available. Update: More information on the Haig Club is now available. Ive just treated myself to two bottles of your rather “superb”new club Haig Scotch. Please would you now answer a question for me,what is the name of the music track you use for it in your tv add? Its driving me mad trying to find out! We don’t actually make the whisky; we just sell it! The track you’re thinking of is ‘Left Hand Free’ by alt-J.